Experienced IT professional seeking a compatible business environment where my fully meshed engineering skills and team oriented management style can be fully engaged. My guiding principles are that it is the customer who pays my paycheck and that a company's employees are its greatest resource. I treat business as I do my life: with honesty and integrity. I also believe that technological evolution drives fundamental change. In other words, there's no such thing as a "time honored solution" in the IT industry. With this in mind, I cordially invite you to explore my professional capabilities as well as my personal focus in greater detail. Cisco 1000 - 7000 series routers. I am currently the Principal Virtualization Engineering Architect at Fiserv Corporation. As such, I am responsible for strategic direction, roadmap planning, and the tactical oversight of my company's virtualization environment. With over twenty five thousand VMs on about nine hundred hosts, this environment spans multiple physical datacenters located throughout the world. Recently, I designed the platform for and coordinated the implementation of Fiserv's next generation SDDC environment. Powered by Dell FX2 vSAN ready node spec hardware, the implementation features Cisco Nexus 9K leaf/spine infrastructure, optical top of rack connectivity and all flash vSAN components. With a floor space requirement 50% less than legacy, the design is also 30% more cost effective. This is mainly due to the elimination of physical SAN components and the rack dense configuration of the overall solution itself. Networking within the SDDC is powered by NSX in both VLAN and VXLAN backing mode. Security is provided by the NSX Distributed firewall; natively for E-W traffic and through Palo Alto integration for N-S traffic. IaaS services are provided by vRA and PaaS services are provided by Pivitol Cloud Foundry. In fact, as one of Fiserv's leading technologists, I have designed and implemented many of the common services that we now take for granted in the IT industry. My current focus on software defined infrastructure as part of an overall SDDC strategy continues this trend. I am happy to provide a detailed list of my other significant accomplishments at Fiserv over the years. I designed and continue to manage the WAC wide area network. Currently providing services for 8 clubs, the system features Cisco technology and is based on a fully meshed fiber based network provisioned as Ethernet. With dual-pathed redundant Internet connectivity, the current WAN infrastructure has attained four - five 9s availability over its lifetime. 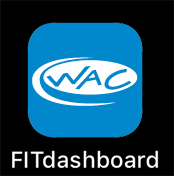 I designed, developed, and implemented the WAC's fully responsive scheduling website "FITdashboard" which allows members to easily search and sign up for classes that may be of interest to them. The fully featured administrative section also allows program directors to easily maintain classes and instructors on an ongoing basis. FITdashboard was developed using Node.js/Express with jade templating. Its implemented on AWS using a mySQL database hosted on RDS along with a pair of loadbalanced Node.js servers running on lightsail. I envisioned then constructed the entire automated infrastructure running the Paradigm Grid itself. TPG is a background project for me whose goal is to tie geographically disbursed engineering talent together with a loose network that provides on-demand infrastructure services. These days, this cloud computing strategy is known as IaaS. However the concept embodied by TPG as well as the infrastructure that powers it has been in operation since 2006 thus predating the term "IaaS" itself by over 5 years. VMware technologies are key to the Grid's rapid deployment capabilities; a fact now recognized and expanded on by VMware themselves with their vRealize Automation and NSX product suites. In fact, I designed and implemented this personal website by leveraging Grid resources. I also developed the code that renders its content. Powered by Cisco and Dell, it's all done with VMware, TMG, IIS, mySQL, WordPress, and Expression. Finally, I remain an independent software developer whose focus is simply to create amazing open source apps. My current project, "screenplay", is a WebOS client for Emby Server. It is available in the online store as a free app that allows LG TV owners to natively enjoy their Emby media catalogs. I also donate personal time to create and host web content for the benefit of my local community. Here is an example of this: IC30A National Regatta. "I've worked closely with Kevin for well over 10 years, as his manager, partner, and friend; believing there could be no better in any of these categories. Kevin's drive, focus, and knowledge of business and technology has always impressed me. I've met only a few people at his level who are both a business executive and a person who understands and appreciates how the pieces all work together. Kevin not only "knows" this, but has "lived it" and brings credibility, engineering/architectural excellence, and confidence to the job." Contact John as a professional reference. "I learned quite a lot about Kevin while working directly for him at Fiserv. Kevin is an effective leader who empowers his team to creatively achieve strategic company objectives. He puts his faith in his team to achieve results instead of micromanaging those results. He differentiates "doing things the right way" from "following the existing process". He supports his team and leads by example. Kevin is an intelligent and articulate out-of-the box thinker. He is a strategist, a futurist, and a champion of new ideas. I've personally collaborated with Kevin to evangelize new ideas throughout the enterprise. These new ideas included implementing a virtualization first policy, co-locating customer servers, defining chargeback models for virtual systems on shared hardware, optimizing storage utilization, redefining disaster recovery processes, and so on. These fresh ideas were embraced by the enterprise because of Kevin’s ability to communicate complicated technical solutions as easy to comprehend concepts through presentations, whitepapers, and proof-of-concept deployments. Kevin’s ideas became de facto mindshare for “the right way” to evolve IT. Changing process and culture in a Fortune 500 company is like turning an ocean liner, but Kevin is a sailor after all." Contact Shawn as a professional reference.